The Ministry of Energy and Water (MoEW) signed an operations and service contract with Russian state-owned oil firm Rosneft for Tripoli Oil Installations in Lebanon (TOIL). The contract, which has a term of 20 years, will allow Rosneft to store its oil products in TOIL, which have a storage capacity of 450,000 metric tons. 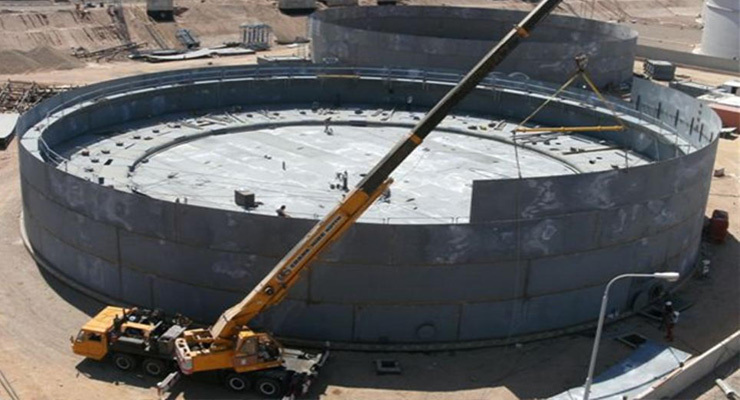 The contract includes the rehabilitation and expansion of the storage terminal. Rosneft is the largest listed oil company in the world in terms of reserves. There is no set value of the contract, as it depends on a number of variables, including the quantities of stored products and the prices of fuel. “But we can safely say that at full capacity, Rosneft will have half-a-billion dollars’ worth of products in the tanks,” said Minister of Energy and Water (MoEW) Cesar Abi Khalil. The minister also said that the Lebanon Oil Installations will launch a tender Monday for the construction of new storage tanks at TOIL. “TOIL will be developed in phases to eventually have a capacity of 1.5 million tons,” Abi Khalil said. MoEW also plans to rehabilitate the refinery at a later stage. Rosneft had won the contract in May 2018 and only concluded negotiations with MoEW on Thursday.